If you used the built-in mail client in Opera 12, you'll notice that this feature is absent from Opera 15. 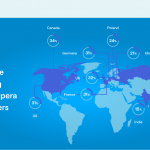 This is because Opera has separated the mail client into its own standalone application. 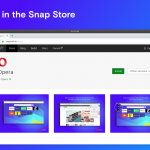 You can download the new client, Opera Mail, from Opera's website. Once you install Opera Mail, the program will read your Opera 12 profile and automatically import all of your mail data. This makes setting up and configuring your new mail client fast and simple. Your bookmarks are safe. Opera 15 includes a bookmark importer. This will read your Opera 12 profile and give you the option to import your bookmarks to Speed Dial. From the main menu, select More tools > Bookmark importer (on Mac, select Window > Bookmark importer ). Click the 'Select Bookmarks' button. From the list, select which bookmarks you wish to convert to Speed Dial. During your upgrade, Opera 15 condensed your notes into an .html file, and saved them to your computer. Look for a file called Opera 12 Notes.html on your computer's desktop. We're working to improve synchronization and make it more integrated with our next generation of browsers. Any data you have synchronized in Opera 12 is still available on the Opera Link web interface. Log in to the site with your Opera account information and you can access your synchronized Speed Dial entries, bookmarks, and notes. Your themes may not appear in Opera 15. The new browser has a few options for themes available in the themes gallery, and more will be added over time. From Speed Dial, right-click the background image and select Change Theme. Your extensions may not be enabled automatically. If you can't see your extension immediately after upgrading, check the extensions page. You may have to enable certain extensions manually. Press Ctrl+Shift or Cmd ⌘+E to view the extensions page. Your user-defined searches may not all appear in the combined address and search bar, especially if you have a large amount of them. These options are still present in the browser. You can still use the key letters defined for these searches to view results from your user-defined settings. Your master password protected passwords will not migrate automatically. To migrate them, run Opera with the –presto-master-password=<master password> command line switch. Reposted from our excellent documentation.